Good morning! 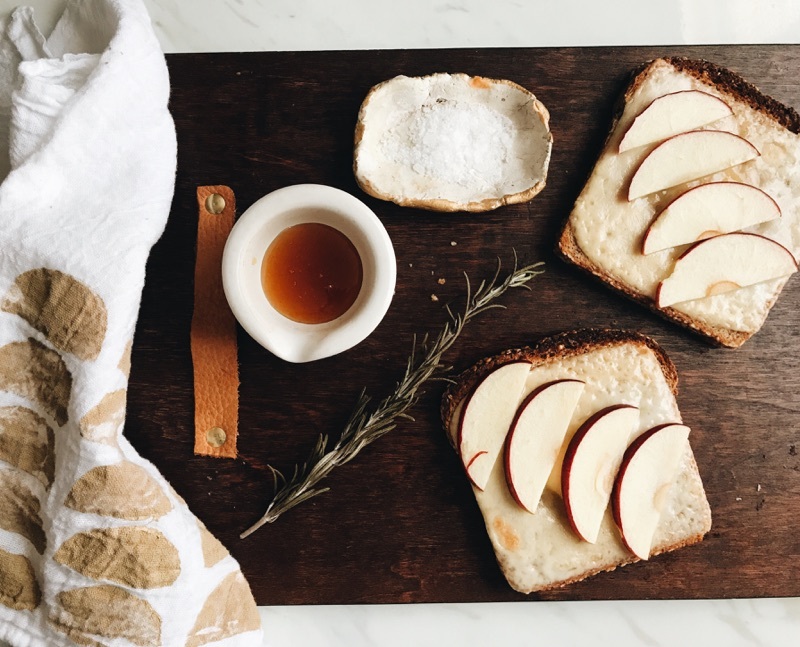 I have a delicious recipe for you all today, and it's perfect for the season: apple gouda toast (adapted from Half Baked Harvest, I just can't get enough of her recipes)! Topped with sea salt, honey, and rosemary, these toasts hit all of the flavors and are amazing for an easy fall lunch. Get the recipe below! 1. Place a pat of butter on each of your bread slices, then layer on the cheese and apples. 2. Set your oven to the broiler, and place your toasts on a baking sheet. Broil for 1-2 minutes, until the cheese is melted. 3. Drizzle your honey on the toasts, then sprinkle your salt and rosemary on top. Eat as is, or mush the two toasts together for a tasty sandwich! Enjoy!